Um, this baffles me… What is this? 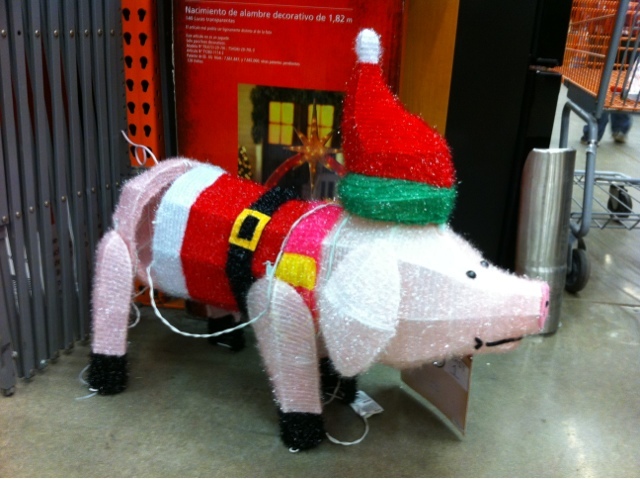 What the f*ck is the point of a pig dressed up in a Santa suit and lights up? Who would buy this? What kind of person would put this on their lawn and plug it in? I want to meet them. And then I want to angry-f*ck them with a pine cone lubed with bleach. And $50??! They must have me f*cked up.